For decades, the Upper Tampa Bay Regional Chamber of Commerce and its member businesses have demonstrated a strong commitment to our local schools: sponsoring classrooms, honoring students, awarding scholarships and showing our appreciation to the dedicated educators who teach our children. In January 2006, the Chamber Board took a major step forward, approving the formation of a non-profit, 501(c)(3) education foundation to serve students in the Upper Tampa Bay area. A need to recognize the achievements of our outstanding student leaders…and the Schools who mentor them. Thanks to the generosity of one local visionary, the Upper Tampa Bay Chamber Education Foundation launched its College Scholarship Endowment Drive with a seed contribution of $125,000. Our first goal is to match that amount with contributions from the community-at-large, giving us an endowment that will fund as much as $20,000 annually in college scholarships. In addition to the scholarship program, the Foundation sponsors a number of other programs and projects designed to reward and inspire our community’s outstanding young scholars. Throughout the year, the Foundation honors top elementary school students from 19 different elementary schools, in recognition of their leadership both in the classroom and our communities. The Education Foundation also recognizes middle school students from 4 different middle schools with our Summer Camp Scholarship and we award 4 different high school students with Scholarship Funds to the college of their choice. The goal is to help the less fortunate kids who need a helping hand in order to reach their full potential. Each year, the Foundation recognizes the contributions made by our dedicated public school teachers and support staff by sending out “Gifts of Appreciation” monthly during the school year. These gifts represent the respect and appreciation of the Education Foundation for our public school teachers and staff. Because you care about the future of our community, we invite you to join us in making a difference in the lives of our future leaders. Your contributions will help fulfill the dreams of deserving students who might otherwise lack the resources to pursue those dreams. 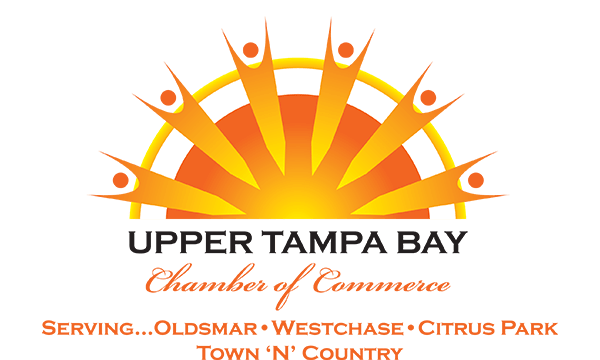 For more information, to make a contribution or to get involved with the Upper Tampa Bay Chamber Education Foundation, please call (813) 855-4233 Ext. 3 or email Jerry Custin and check out our Facebook page.